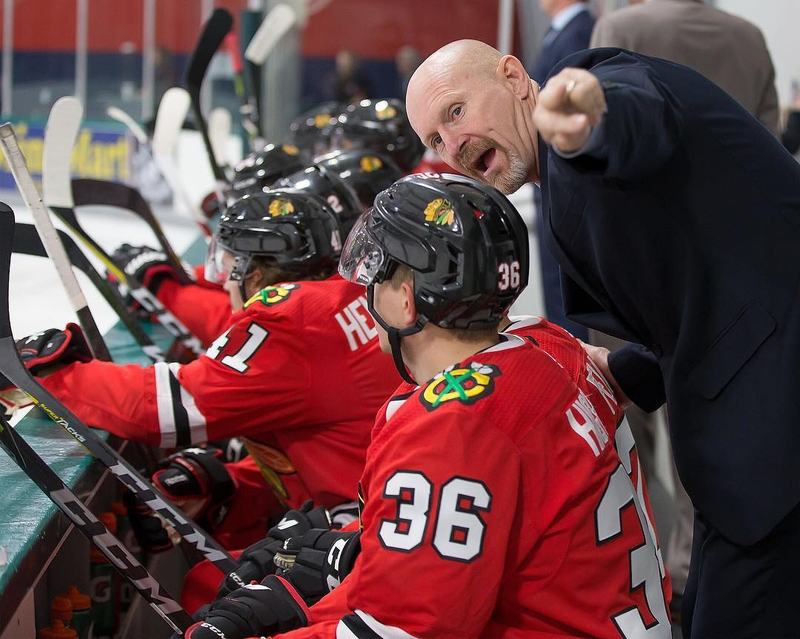 Derek King was named the Rockford IceHogs' interim head coach on Nov. 6, 2018. He served as Assistant Coach of the IceHogs from 2016-18, after originally being named to the position on July 7, 2016. King previously worked as assistant and associate coach with the Toronto Marlies of the AHL from 2009-15. With the Marlies, he helped the team win one Western Conference Championship (2012) and three North Division Championships (2012, 2013, 2014). The Hamilton, Ontario, native had a 14-year National Hockey League career that began with the New York Islanders during the 1986-87 season. After 11 seasons with the Islanders, King also played with the Hartford Whalers and Toronto Maple Leafs. His last stop in the NHL came during the 1999-2000 season, playing for the St. Louis Blues under former Blackhawks Head Coach Joel Quenneville. King totaled 261 goals and 351 assists in 830 career NHL games. In 47 career Stanley Cup Playoffs games, he recorded 21 points (4G, 17A). He was originally selected as the 13th overall pick in the 1985 NHL Draft by the New York Islanders.